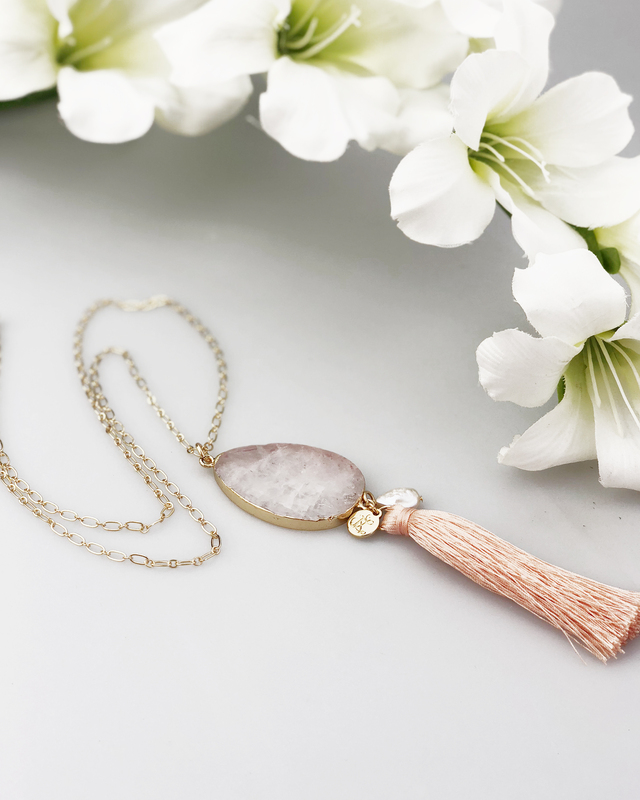 This gorgeous statement stone tassel pendant is perfect for the gorgeous summer days. 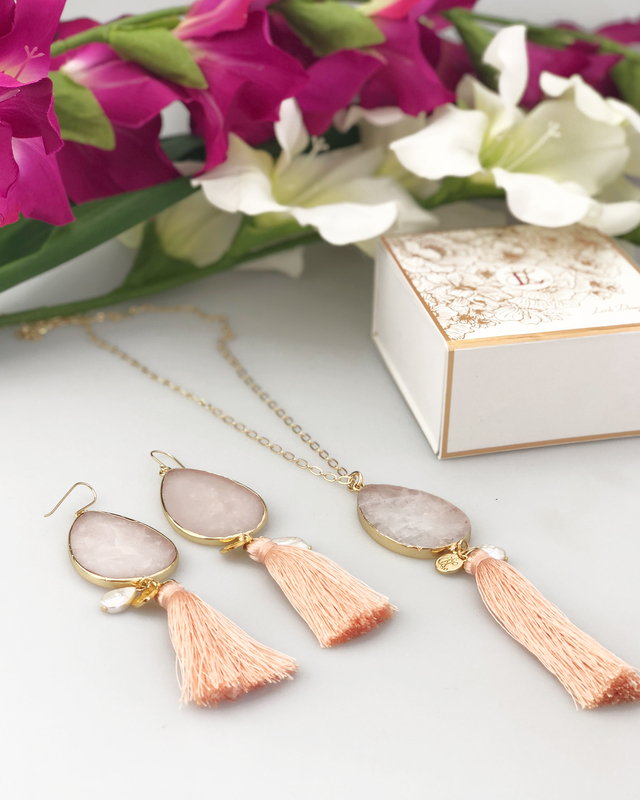 Handmade in Melbourne from real semi precious rose quartz stone and fresh water pearl tear drop with a gorgeous thread tassel. 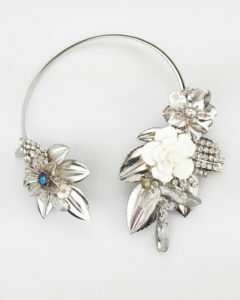 Perfect to wear casually with a summer maxi dress or to glam up a soft pastel outfit. 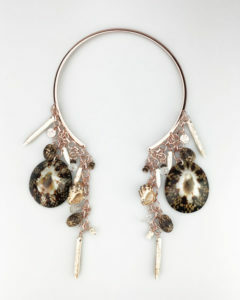 With an adjustable chain so you can wear it to what ever length suites your outfit. 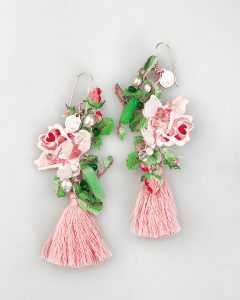 Also available are the matching earrings incase you want to go all out. 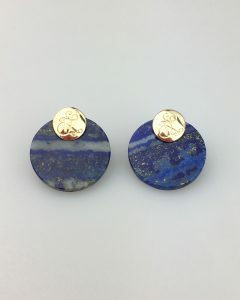 This item is handmade and unique and due to the natural semi precious stone each pendant will differ adding to its originality. 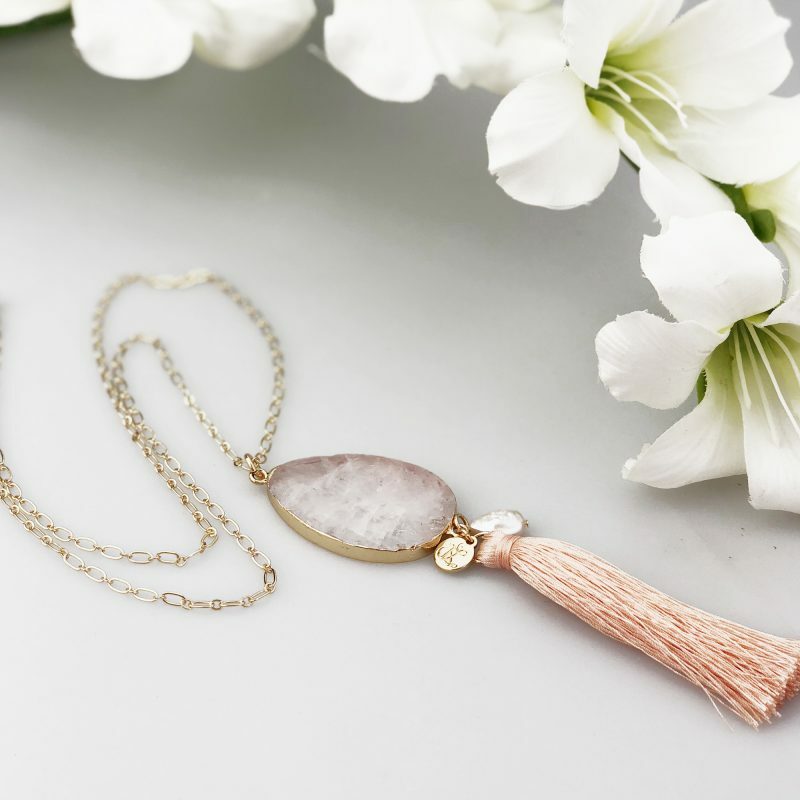 The components are designed and sourced by myself from across the globe and then hand made to create this beautiful pendant.